Royal Mail Redirection is a fantastic service that is useful for just about anyone moving, whether that’s long term or short term. If you want to know what this service offers, our introduction to mail redirection covers everything you need to know. Note: The only organisation you can set up Royal Mail Redirection is The Royal Mail. Full Name and date of birth of everyone that requires mail redirection from your old address. A payment card that is either registered to your previous or new address. If applying via post, you’ll need a cheque under the name of each applicant, payable to Royal Mail Group Ltd. Need a UK address to redirect your mail to? In circumstances that you’re applying for someone who has deceased, or whom you have power of attorney, Royal Mail will require additional documentation. Their redirection application for special circumstance form details all of the information you’ll be required to provide. Royal Mail Redirection: How long does it take to set up? If you’re setting up redirection for more than eight people, you’re required to apply at the Post Office. Need to apply now for a future move? You can register for redirection for up to 6 months before your moving date. A few weeks before your mail redirection ends, Royal Mail will send you an invite to renew. You can renew online, by post or by phone using the reference number and renewal code sent with your invitation. Please note that if you’re renewing a redirection to an overseas address, you’ll need a UK registered payment card. Failing this, you’ll have to apply via post with a cheque. For security reasons, how you applied for your Royal Mail redirection dictates your method of cancellation. In all cases, include your full name, date of birth, addresses associated with your redirection account and your intention to cancel the service. If you applied for redirection online, simply e-mail cancelmyredirection@royalmail.com from the email address you registered with. You can cancel your redirection service within 14 days of receiving your confirmation letter or email. If you cancel before the redirection is activated, you’ll pay no cancellation fee. If you cancel within 14 days after your redirection is activated, you’ll incur a fee of £10*. If you’re registered for Royal Mail redirection but moving to a new address, you’ll need to set up a new mail redirection service. You won’t be returned any money if you cancel this service after 14 days of service activation. If you’re unsure on how long you’ll be leaving the UK for, or if you’re a frequent mover who’d prefer to redirect their mail to a single address, you’ll benefit from a UK Postbox account. 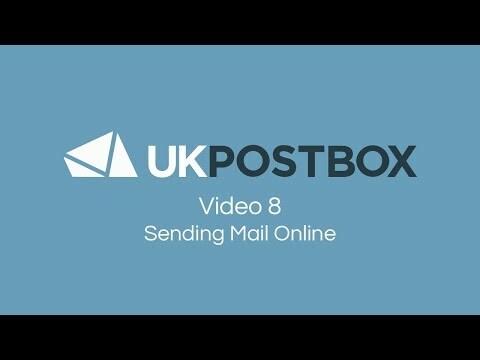 Setting up mail redirection to your UK Postbox account is simple. Receive mail to your UK Postbox address that you can read, access, store and action online through our web app, or request to be forwarded on physically. Keep your UK Postbox Redirection Address for your lifetime, ready for you to redirect to whenever you’re in need of the service. Want to know more of the benefits?